The need for business websites to market themselves has been growing exponentially due to the rapid increase in competition amongst the vendors. Improving their marketing activities is becoming increasingly important for the business websites to increase their customer loyalty. E-loyalty is regarded as an important factor, which is needed to succeed in online business and be profitable in this area along with e-satisfaction, e-trust and e-service quality. This study seeks to create a model in order to increase customers’ trust as well as loyalty towards business websites. As hypothesized, customer loyalty to a specific online vendor increased with perceived better service quality both directly and through increased trust. Also, if there is any chance of risk, then the loyalty wards that vendor is reduced. 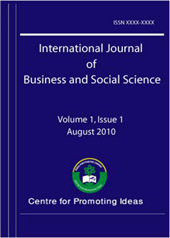 The results of this study showed that a high level of brand loyalty of the consumers in the business websites not only has a significant positive impact on consumers’ trust of the same brand’s Website, but also positively impacts consumers’ online brand familiarity and apparent brand repute, which improves the trust of the consumers in the website of that brand.